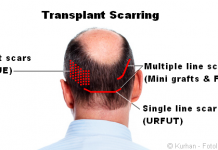 The speeding hair loss in men and women can be curbed by the best Costemetic or hair transplant surgeon in India. The presence of hormone that leads to hair fall is present in large quantities in men, as compared to women. This is the reason why an Indian average male suffers from Male pattern baldness at different stages of life. For some it begins early during their twenties only, which gives room to emotional stress. 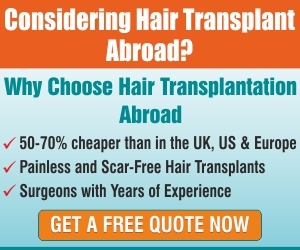 Hair Transplant is the best way to get rid of baldness and emotional stress. Availability of various types of oil in India is a boon to the country and it’s people. Oils with different levels of moisture can be used depending upon the need. The natural oils like olive oil, coconut oil canola oil and many more are readily available to be used by the Indian consumers. These just have to be warmed enough to be applied. The temperature must not be too high and must be no more than lukewarm. This process of application of oil reduces the hair fall as it moistens the scalp. This oil can be left for about an hour and then rinsed thoroughly with any mild and good quality shampoo. Natural herbs like ginger and garlic are known to have antibiotic properties. Juices of these can be applied on the head and then can be washed after keeping it overnight. Onion juice too works wonder for preventing from hair loss problem. Same process of keeping it overnight and then washing it can be used. 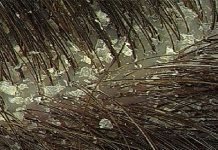 To prevent the hair loss, the hair follicles needs to remain active. This can be done through good circulation which can be induced daily through massage. Few drops of aromatic oils, like bay essential, lavender oil with sesame and almond oil as base can be used to improve circulation of the hair follicles. Green tea and other antioxidants are equally good in preventing the hair loss. These can be applied on the hair directly or can be consumed as well. One example of using the green tea is by brewing two tea bags in a cup of water. This mixture can be applied on the scalp and after leaving it for an hour, this can be rinsed with cold water. This process will provide lustre and strength to the hair. India is a land of yogis, and hence yoga is considered as the remedy for many problems which are physical as well mental. Yogis claim that stress and anxiety too result in hair loss. To calm one’s mind and body meditation and yoga must be practiced to balance the stress. This impact and result are both powerful. A balanced diet with a balanced intake of proteins, minerals and vitamins are good to maintain hair on the scalp. Balance in the diet prevents dryness and thus, mkes the hair stronger. No matter what one applies externally, nutritious food is the key to good hair and good health. Food rich in proteins and fibre must be consumed in required portions. Foods like egg, milk, green vegetables like spinach and cabbage, along with some fibrous fruits will give the required nourishment to the scalp and hair.